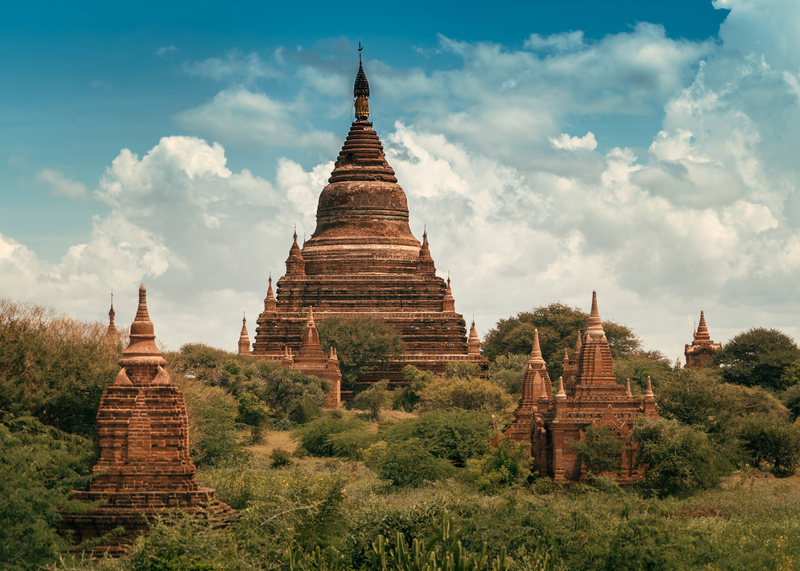 Scenic buddhist temples in Bagan, Myanmar. Even thought 2016 August earthquake damaged lots of temples some of them remained relatively unharmed. This isn’t the first time though that an earthquake has stroke the area. There was a big earthquake in 1975 that damaged lots of temples as well and reconstruction work took three years to complete. The fact is that without continuous restoration and reconstruction all these temples would just be semi tall pile of rocks. So what is original and authentic and what is not if they are all rebuilt anyways? In the end that’s up to you to decide. Personally I think all the electrical should be kept out from ancient sites such as electronic lightning and whirly LED-panels behind Buddha images.